Chinese carmaker Great Wall Motor has said it has not held talks with Fiat Chrysler, putting a possible bid for its Jeep brand in doubt. 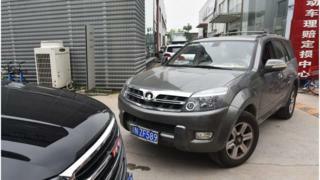 Great Wall confirmed it had researched the US-Italian carmaker but made no substantial progress towards a deal. In a statement to the Shanghai stock exchange late on Tuesday, it said there was a "great deal of uncertainty" over any potential bid. On Monday the carmaker expressed interest in buying some or all of Fiat. But in its latest statement Great Wall, China's largest SUV maker, appeared to shift gears. The company said it had not "established contact with the CEO of Fiat Chrysler", nor signed any documents with the firm. Fiat Chrysler, the world's seventh largest carmaker and one of the big three Detroit auto firms, said on Monday it had not received an approach from Great Wall. Fiat Chrysler's chief executive Sergio Marchionne is seeking a partner or buyer to help it manage rising costs, emissions regulations and the development of electric and self-driving cars. Great Wall sold just over a million vehicles last year, mostly in China, which is now the world's largest car market. Why are US car sales falling?